Leading financial regulation solution provider, Vizor Software, are now finalists in the "Innovation in Data Solutions" category of the FinTech Innovation Awards, having successfully completed the final round of judging. Vizor named FinTech Innovation Award finalist. We are pleased and proud to have been named as a finalist in the Innovation in Data Solutions category by the FinTech Innovation Award judges. 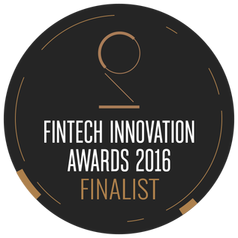 Vizor Software the provider of the world’s leading financial supervisory software announced today the Company has successfully completed the final round of judging and are now one of five finalists in the Innovation in Data Solutions category in the FinTech Innovation Awards, 2016. Sponsored by AirPlus International, WU Business Solutions and Streamline, the awards honour the highest achievements from the global financial and payments technology industries over the past year, celebrating teams and individuals who are blazing a trail within the sector. Finalists, including Vizor Software, were scored by an expert panel of judges comprised of leading authorities and specialists from across the FinTech sector. The judges selected five companies from the ten long-list nominees announced earlier this year to move to the final round in this category. “We are very pleased and proud to have been named as a finalist in the Innovation in Data Solutions category by the FinTech Innovation Award judges," said Ross Kelly, Joint CEO of Vizor Software. Winners will be announced on April 13, 2016 at a gala awards banquet and ceremony being held at The Brewery in London. Attendees will include over 700 FinTech influencers and innovators and will feature live music, a Champagne reception, and a three-course dinner. Vizor Software has been the standard for financial regulatory technology since 2000. Leading the way in regulatory supervision software, Vizor Software is trusted by Central Banks and Financial Regulators from around the globe for the collection, validation and analysis of highly complex data from Financial Institutions. Serving the needs of financial regulators in more than 30 countries, Vizor Software is a trusted partner of large consulting firms and leading XBRL toolset providers. Employing a collaborative, agile approach to implementing regulatory solutions, Vizor Software simplifies and strengthens financial regulation systems. You can learn more and visit Vizor Software at http://www.vizorsoftware.com or by following Vizor Software on Twitter, LinkedIn, Facebook, Google+ and Pinterest.